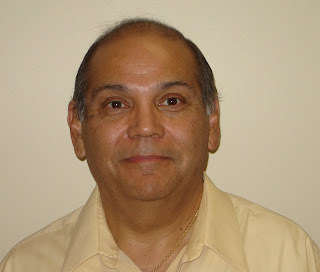 Dircks has hired Ed Rueda as their Commercial Business Development Manager. Ed is an Arizona State University Alumni with 12 years of sales experience. Rumor has it that another large company based in the Southern half of the US has been considering changing van lines. As this company considered the possibility of becoming an Atlas agent, Atlas Van Lines claimed that they weren't interested! Did another of Atlas's agents "call in a favor?" or is there more to the story? Let us know what you think! With the news of SIRVA filing Chapter 11, we have seen some major players prepare to switch their colors. Rumor has it that two very large Allied agents have been recruited over to Mayflower. Here's a hint - both agent's names begin with the letter "D." Will changing van lines help their cause? Only time will tell. One thing that's certain though - There are going to be a lot of trucks to paint! Unless you have been living under a rock, you have probably heard that SIRVA filed for Chapter 11 bankruptcy. SIRVA's stock has been plummeting for a while, so this didn't come as a huge surprise to anyone. Having announced earlier last year that they were around $800,000,000.00 (That's $800 Million) in the hole, with no assets to speak of, and a giant inventory of unsold houses, SIRVA decided to opt for a pre-arranged Chapter 11. So what happened? Well the company has gone from being publicly traded to privately held as all shares of stock fell to zero. The creditors have taken over ownership for now. Most North American and Allied agents that we have spoken to feel confidant that this too shall pass and everything will work itself out. With no major lay-offs to speak of thus far, the creditors are trying to keep things status quo as they dig out from this debt. What will happen in the future? It's hard to tell. Perhaps the agency families will take over, perhaps the company will sell to another party. Whatever it is, we will be sure to report it here when it happens. The business section of the Northwest Indiana Times read "Movers staying put" on Wednesday, Feb 13th. In this article some of Northwest Indiana's movers were interviewed. One company mentioned that 2007 was their best year ever. They stated that they are "slow" right now, but it is the middle of February. They aren't giving up hope at this point. With the housing market being in a major downturn for the past year, one of the company's found a unique way to diversify. Jeff's Movers of Merrillville, IN purchased a 20,000 square foot warehouse for container storage. The containers meet a need for people who have lost their homes due to foreclosure. The contents of the home are packed into the container and transported to their warehouse for storage until the owners have relocated. Moving everything only twice, this cuts back on labor and out of pocket cost for those needing to move. Even the small independant movers agree that diversification is key to keeping busy!